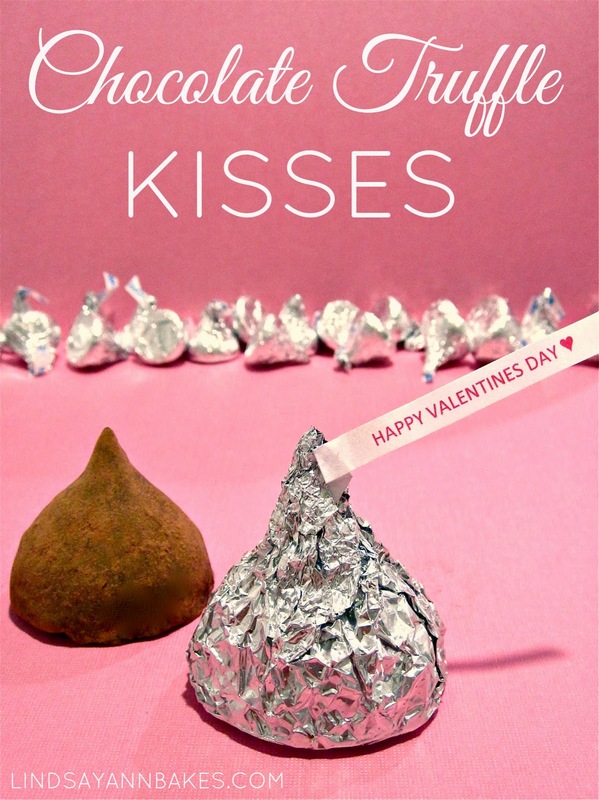 I took my rich, creamy, 2-ingredient chocolate truffle recipe and sculpted it into a giant Hershey's Kiss, for a fun Valentine's Day treat! 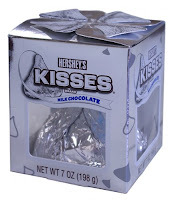 So I decided to try and combine the iconic Valentine's Day chocolate truffle, with this cool giant kiss, and came up with "Chocolate Truffle Kisses". The best part of this recipe is you can infuse your truffles with extracts, espresso, liquor, or keep it simple and stick with luscious rich chocolate. Place chocolate in a heat proof bowl and set aside. In a small saucepan bring the cream just to a boil. Remove from heat and immediately pour over bowl of chocolate. Let sit for a minute or two. Gently stir until smooth (This is a classic ganache which can be poured as a liquid over cakes, or refrigerated and rolled into truffles, like we are going to do in this tutorial). If you are infusing truffles, stir in a few drops of flavor extract until you have reached your desired flavor, I love using cherry for Valentine's Day. You can even add Chambord for a raspberry flavor, or any type of alcohol, liquor, espresso, or flavoring you choose! I know... not the prettiest picture, but I wanted to make sure I showed you the whole process. 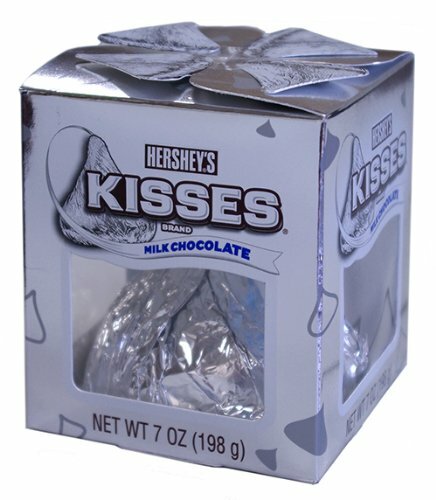 Place your Kiss in the center of the foil square and wrap foil up and around Kiss, with your custom tag poking out of the top (you can place the kiss in a paper cupcake liner before wrapping in foil if desired).